“Almost a year after the release of KiCad 4.0.7, the KiCad development team is proud to present a new and improved KiCad 5.0 release! The stable release version 5.0.0 is made from the stable 5.0 branch. KiCad binaries should be available now or in the very near future for download for Windows, macOS and Linux. See the download page for guidance. Instructions for packagers can be found on the download page describing how to build from source . Below are also some packaging packaging related changes since the 4.0 releases. 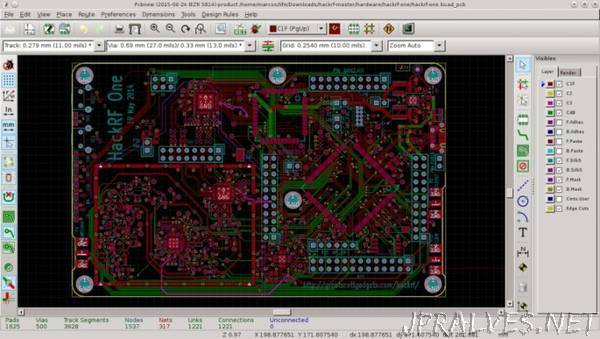 The official KiCad libraries have also seen a lot of improvement in management, style and consistency by the librarians. Read more about this on the new library section on the website. - Rounded rectangle pad support. In regard to packaging the KiCad binaries, not a lot has changed. You should mostly be able to bump the package version, but some new major dependencies have been added with the SPICE similation and support for IGES and STEP 3D models. We now depend on Open Cascade (by default OCE, but OCCT should also work.) We also now depend upon ngspice built as a library. Beyond dependencies, the library has had a major restructuring such that the footprints are in one git repository and the templates have been separated out to its own repo as well. See http://kicad-pcb.org/download/source/ for all relevant information.